Genetics Otago, the regional genetics cluster of the Otago province, is offering an international summer studentship. Usually five internal summer studentships are offered. This year a single international studentship is up for one lucky student. You want to be in to win, right?! Available for a 10 week period between November 2011 and March 2012, this opportunity to study at the internationally respected University of Otago provides return airfares to Dunedin, New Zealand, accommodation and a NZ$5,000 stipend. Topics of study include: evolutionary genetics; microbial genetics; human genetics; law, ethics and emerging technologies; developmental genetics; genomics; applied genetics. 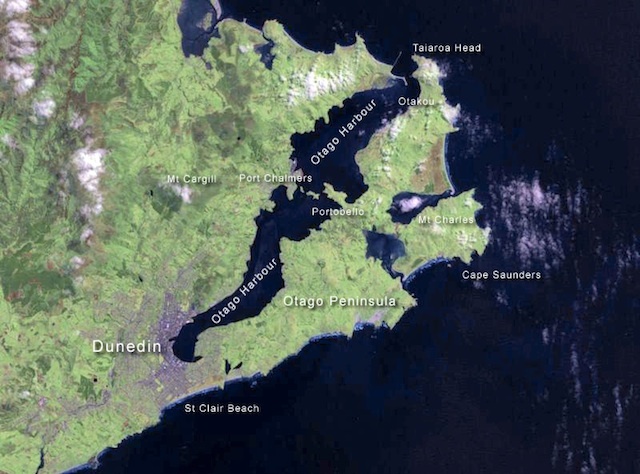 Dunedin is a university town with most students living within walking distance of the campus, which itself is within walking distance of the town centre and sporting venues. The area surrounding the town is scenic and has plenty of opportunities for walking, hanging out on beaches, surfing and whatnot. (We’re not Australia, though: don’t expect 30˚C heat for days on end!) There’s penguins, albatrosses and sea lions to see too! The banner photo for my blog at the top of the page is looking down into Dunedin Harbour from the Otago Peninsula. Feel free to ask any questions about the town or university in the comments. As this is for the New Zealand summer, it may clash with course schedule in the northern hemisphere – ? Iâ€™ve just read this studentship has been awarded to Anandi Reitmann from the University of Pretoria who is to be studying in Dr Caroline Beckâ€™s laboratory.